The small company built from the ground up in their garage and now famously known for succeeding on the hit series, Shark Tank: Xylitol Ice Chips are in our store! 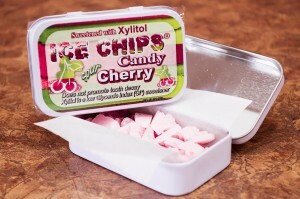 Xylitol is a polyol, a sugar alcohol. It is all natural, safe for diabetics and has many health benefits. It uses Birchwood Xylitol (made in the USA), in order to access the health benefits, particularly the dental and diabetic advantages. Get the full scope of the candies HERE.